Today, the confluence of various advanced technologies is transforming the age of robotics. New waves of industrial robots are minimizing manual labor in manufacturing and distribution operations. As an innovative industrial automation company, Pollux Automation designs, builds, and implements a wide range of automation solutions for development of assembly lines, industrial internet that includes track & trace, and Robot as a Service (RaaS) business model. “We concentrate more on the automotive sector. Our solutions also fit quite well in repetitive tasks in packaging lines as well as in machine tending activities. The major change technologically is the shift from traditional robots to collaborative robots,” notes J. Rizzo Hahn, CEO at Pollux Automation. “The traditional way of implementing industrial robots has several obstacles that our innovative RaaS model eliminates,” cites Hahn. The main robotics trend applied to RaaS is the extensive use of collaborative robots by which installation of new robots is made possible in a matter of hours in existing lines and manufacturing cells, which was not possible previously. It eliminates the need for Capital Expenditure (CAPEX), the lack of flexibility in acquiring a specific robot type, and the total cost of ownership for tech support, spare parts, and the need for reprogramming the existing robots. “With our RaaS model, it only takes a small monthly payment to start benefiting from robotics, almost immediately,” emphasizes Hahn. Created with a vision to gather momentum in the robotics industry using advanced automation technology, the RaaS model greatly simplifies the management and resources required to derive robotization benefits. Additionally, to aid customers learn and resolve robotics issues, Pollux offers a full service approach that is well defined as a seven step process. It includes mapping the manufacturing process to uncover opportunities for robot use, simulation to confirm technical viability, engineering to define accessories, risk assessment, installation, programming, and ongoing tech support. “Over the years, we have built a powerful ecosystem to drive robot implementation excellence,” affirms Hahn. The ecosystem comprises of some world-class technology suppliers, such as Universal Robots, Visual Components, Schunk, Robotiq, Cognex and Dassault Systèmes. “We have also created a very intensive tech support arrangement to maximize robot uptime in the factory floor and address it with high level customized solutions.” The company manages the entire process of simulation right from design to completion of each product using SOLIDWORKS 3CAD software developed by Dassault Systèmes and Visual Components. 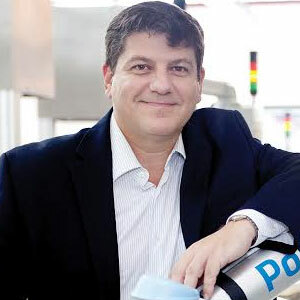 Recently, one of the largest refrigerator manufacturers in Brazil approached Pollux. They wanted to launch new minibar refrigerators, designed specifically for storing beer cans, during the World cup that was held few years back. The client needed an advanced system to monitor and control the temperature in the refrigerators and ensure everything was working fine. Minimizing human intervention, Pollux introduced their collaborative robots, embedded with a camera and a sensitive finger, to run the operation in the real-time. Eventually, it helped them launch the product before the World cup.